Joshua Tree National Park has been the backdrop for many album covers over the years. Think past U2’s 1987 release. Joshua Tree was also the setting for the self titled first release of the Eagles. which was shot at the cholla gardens on the eastern edge of the park. The orchestrators behind that iconic Eagles cover were artist Gary Burden and photographer Henry Diltz — the men widely credited with inventing the concept of album cover art. Gary was the go-to album designer for rock artists in the 1970s, and collaborated with Henry for many of his projects. 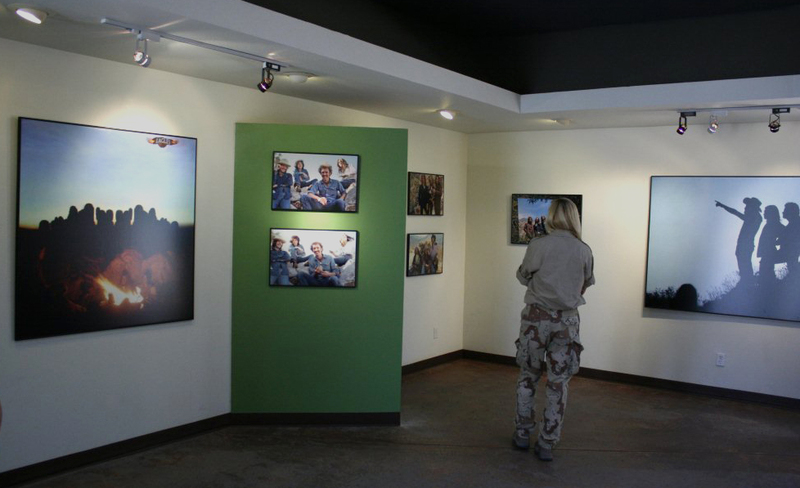 A collection of Burden’s album cover, custom artwork debuted at the Joshua Tree National Park Visitor Center on August 10th as part of the park’s 75th Birthday Celebration. 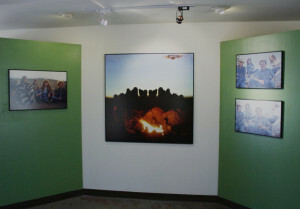 The exhibit features images of the music groups America and the Eagles taken during the early 1970s in the park. 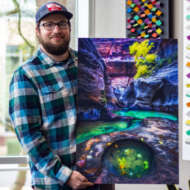 Featuring more than 30 prints curated by Gary Burden, the custom artwork was also in partnership with Joshua Tree National Park and the printing help of Artisan Colour. 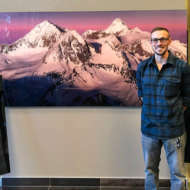 Some of the prints, like the Eagles album cover, were printed on at a grand 4’x4′ large format size. Here are some of Gary’s thoughts on why the park is so special and remains a source of inspiration to him. “I loved going into nature and found the desert to be a place of refuge. A place of great power and mystery. A place where there is, in fact, an abundance of life and beauty. A safe place. A place where you are tested and when you pass the test and survive you can rejoice and feel truly alive.?? Later I brought other people here to Joshua Tree and shared what I knew and felt. The right ones got it and cherished it. They came back on their own to enjoy what the desert offers, again and again.?? The exhibit is free to the public and will be on display for the rest of 2011. The visitor center is open daily from 8 a.m. to 5 p.m. It was a pleasure for ArtisanHD to work with Gary Burden and 75th Anniversary Coordinator and Park Ranger “Extraordinaire,” George Land!